This yarn was an impulse buy at my LYS. I just had to have these colors on my needles and the yarn was oh so soft. The price made it a safe gamble. 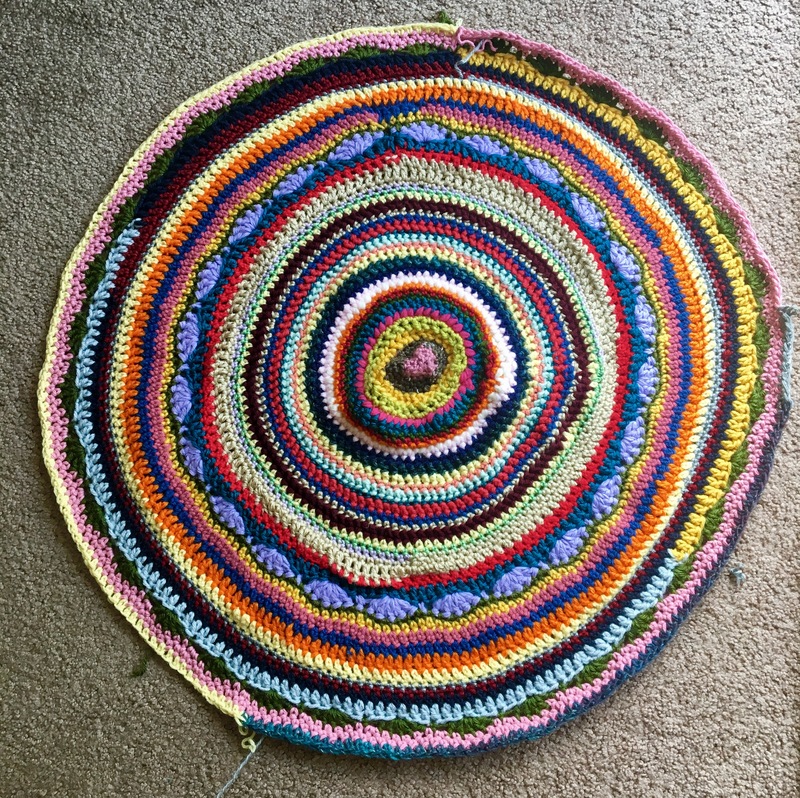 Every if I didn’t like working with the yarn, my financial loss would have been minimal. Lucky for me this yarn was a-okay. I really enjoyed how the yarn worked into pretty even stripes. No cool pooling here! Overall, this cowl makes for a great accessory to jazz up any outfit. Plus the chunky yarn make for a quick knit. Find more pics of this lovely cowl in my Etsy shop 😊. In 2015/2016 I went on a sock craze. I was making about a pair every month. As a result, I ended up with quite a bit of leftover sock yarn. What to do what to do with this lovely yarn? Well, I started to paw through my stitch dictionary (A Treasury of Knitting Patterns by Barabara Walker) and go an idea. 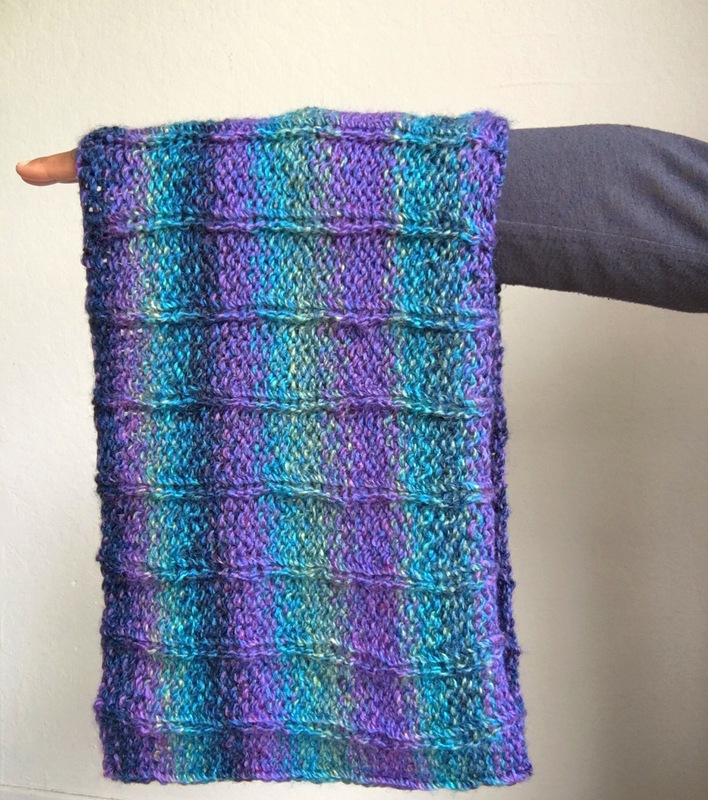 What if I used some of my sock yarn and created a cowl of swatches? The yellow came from my Business Casual Socks. The yarn is Cascade Heritage Solid in Mustard. The stitch is Roman Rib Stitch. The blue is from my Warm Up Socks using Anzula Squishy in Chiva. The stitch is Slip-Stitch Honeycomb. The green was used in my Green Jaywalker Socks. The yarn is Berroco Ultra Alpaca Fine in Seedling Mix. The stitch is Vertical Lace Trellis. The red was not used for a pair of socks, but a cowl. It is Knitting Fever’s Painted Desert in Autumn. The stitch is English Mesh Lace. I tried to balance the textured stitch patterns with lacy stitch patterns to give the scarf a little variety. I love how it came out! I love the bold colors combined with the variety of stitches. I am currently designing a shawl pattern. I am using Knit Picks Comfy Sport and Shine Sport. These cotton blends are super soft to work with and the colors are fantastic. While creating my pattern, I noticed the increases were making the shawl way bigger than I liked. After much internal struggle I ended up frogging back 20 inches. I hated every inch of that. However, I had a certain shape in mind and I knew that if I fudged it I would be unhappy with the result. I am also working on this baby hat using some of my scrap yarn. I think the red orange color is from the Valley Yarns line. I hope the blue wool softens a little bit during blocking as it is a bit rough on the hands. The Crossing Diamonds Headband is a great piece to add to your everyday knitwear collection. This headband features a basic cable pattern that forms interlocking diamonds. This design is a great seasonal transition piece. It can be worn as an ear warmer or further back on the head as a headband. This Crossing Diamonds Headband is perfect for those who are just learning to cable knit or who want to brush up their skills. The headband is made as a flat piece and then the edges are seamed together. This project is gauged for US Size 8 (5.0mm) needles which make it a quick knit without being too bulky. Small/Medium/Large sizing is included. Plus it is a stash buster! From now until 4/30/17 this pattern is only $1.00 on Ravelry. 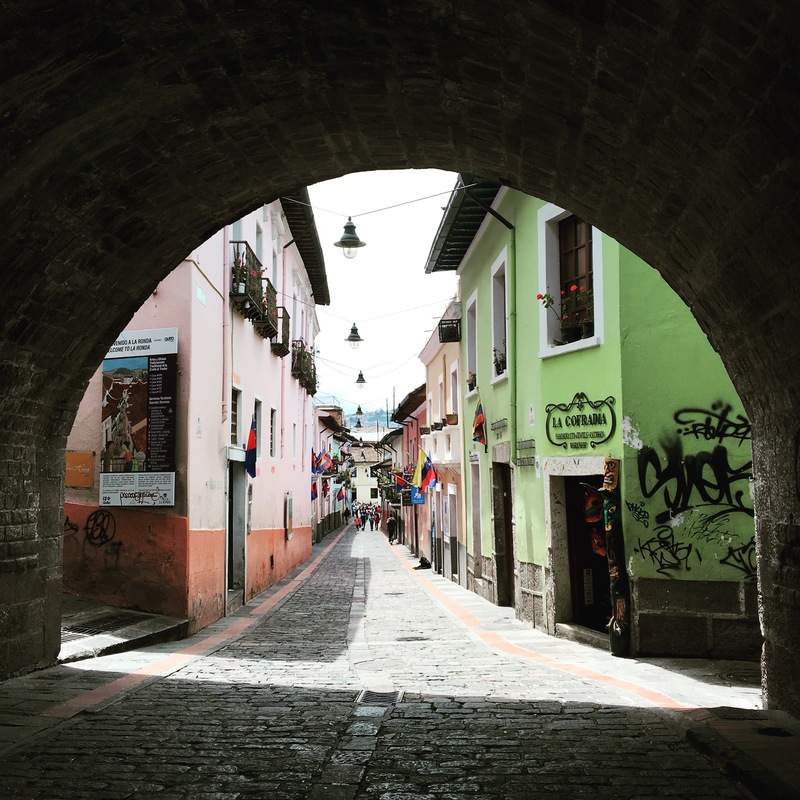 Quito is the highest official capital of the world nestled between the Andes and the Pichincha Volcano. The city lies in the Guayllabamba river basin and is surrounded by lush trees. Quito has a very urban feel, think lots of people, cars, and buildings. My lovely friend took me to the Guyasamin Museum on my first day. Divided into two parts, the tour includes a viewing of his murals in the Capilla del Hombre as well as a tour of his home. It was super interesting to walk around his home as it contained TONS of religious artifacts and art from around the world. Guyasamin was a fantastic painter who created works with such raw emotion behind them. Quito’s historic center is a UNESCO heritage site. I thoroughly enjoyed walking along the cobblestone sidewalks admiring the colorful architecture. We visited the Basilica and San Francisco Church. The churches in Quito did not disappoint. They all had exquisite sculptures and stain glass displays. We also took a stroll around the Independence Plaza. Here we found the Presidential Palace, Cathedral of Quito, and Archbishop’s Palace. The square was quite busy and made for great people watching. 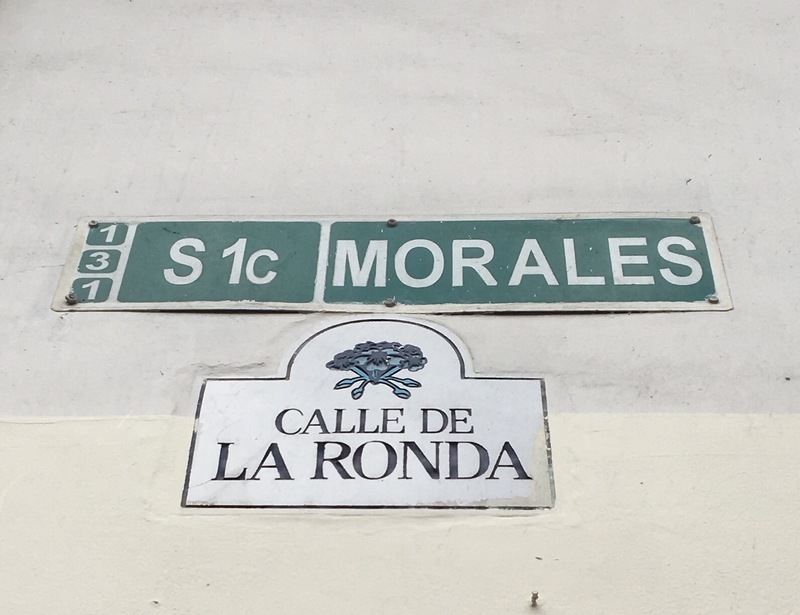 We wandered down Calle La Ronda, which was the old bohemian district. It was election weekend so a lot of the shops and cafes were closed. However, we did find a shop selling Ecuadorian honey. It was quite fun taste testing honey with avocado and citrus flavors. On my last day in Quito, I found a yarn store that sold Ecuadorian wool and alpaca 😍. I must say I controlled myself considering that the yarn was quite economical (5 100 gram skeins of alpaca blend for $30!). I love this dusty rose color and plan on making a cozy sweater. All and all Quito is great to visit. It has a great balance of culture, architecture, and history.